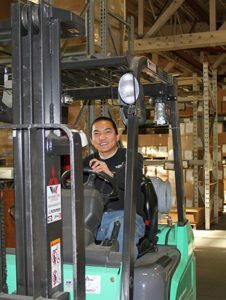 Skookum is a SourceAmerica leader in the logistics field. Skookum provides outstanding logistics services to the Army, Navy, Department of Energy and GSA. Skookum can support any level of logistics; one Army contract has had 300+ employees. Skookum's comprehensive Logistics Support Services include Vehicle and Equipment Maintenance and Repair, Transportation Services, Fuel Supply Management, Retail Supply and Services, Warehousing & Distribution, Central Issue Facility Operations, Food Services, and Information Technology Support for Logistics Software systems. Skookum maintains facilities with a plant replacement value in excess of 3 Billion dollars. Skookum provides installation wide facilities maintenance services as the Directorate of Public Works (DPW) contractor at Fort Lee, VA and White Sands Missile Range, New Mexico and Naval Surface Warfare Center, Bayview, Idaho. 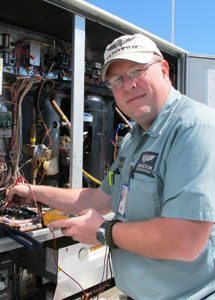 Our Facilities Maintenance divisions provide all labor, equipment, materials/supplies and preventative maintenance on real property facilities, air conditioning (HVAC) equipment and barracks for our military customers. Skookum’s direct support of the Army combined with our experience as a Prime Contractor for the Navy Region Northwest demonstrates Skookum has the skills and expertise for success on Facilities Maintenance Services. Skookum performs facility management and maintenance services in the following major functional areas: Buildings and Structures Repair and Maintenance; coordination of Utility Systems Operation and Maintenance; HVAC Systems Operation, Repair and Maintenance; Dining and Laundry Equipment Maintenance; Grounds Maintenance; Facility Maintenance Supply Services; and Call Center operations. Skookum utilizes MAXIMO facility management software and reporting program. Skookum inspects and performs preventive maintenance (PM), and repair of buildings, structures, and associated property and equipment encompassing a variety of trades including locksmith, mechanical, plumbing, electrical, painting, structural, food service, and appliance repair, and HVAC.